Don't forget what you have planted in your garden! Create your own garden labels using our dog tags. 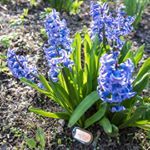 Our weather resistant, stainless steel dog tags make fantastic garden markers for your perennials and fall plantings so you will be able to easily identify and map your plants in the spring. Hang a dog tag on a homemade hook or tie them to a small stake. Have a lot of plants that you need to label? 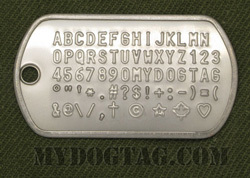 Remember that our dog tags come with two in every set ordered, and we offer bulk pricing for three or more dog tag sets. Looking for something a little smaller than a standard sized dog tag for garden plant ID tags? Check out our mini dog tags! Ideal for tree, plant, and species identification... especially for arboretums, nurseries, and community gardens. 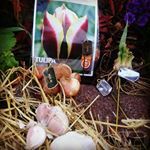 Customize to Buy your Gardening Plant ID Tags now! All orders are shipped within 1 business day and are usually delivered within 1 week (in North America). If you need any assistance creating or ordering your Gardening Plant ID Tags please contact us directly, we are here to help!